Barebone System (NO DDR3 RAM/MSATA SSD/OS/Wireless card inside)! The parts on pictures are just for reference! Please install these parts, Operating System and software package by yourself after you receive the device. 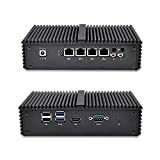 This entry was posted in Desktop Computers and tagged Barebone, Broadwell, DDR3L, i55250U, Intel, Max., mini, Nano, QotomQ355G4, SODIMM, Support, Video by Computer Education World. Bookmark the permalink.